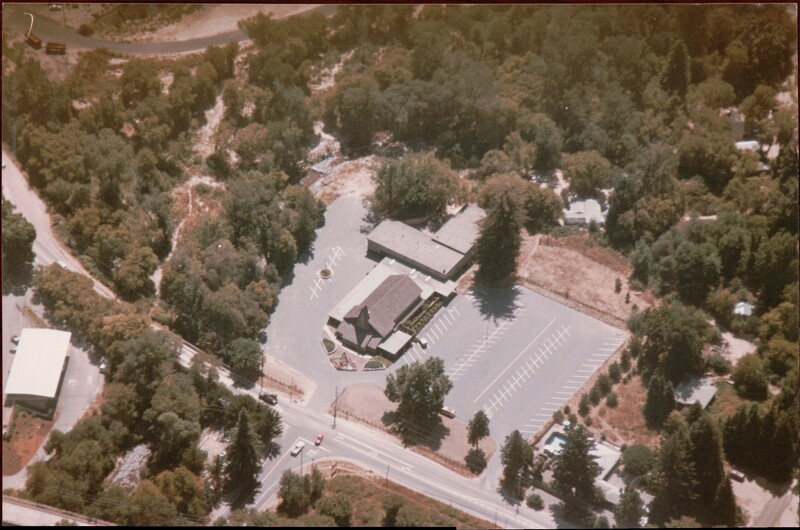 Undated aerial view of Felton Evangelical Free Church – later name changed to Felton Bible Church. Photo perhaps 1980s? Graham Hill Rd at E. Zayante Rd. Today’s Felton Grove Neighborhood is approx. 16 acres to the right. Entrance to neighborhood is via Park Ave, far right. 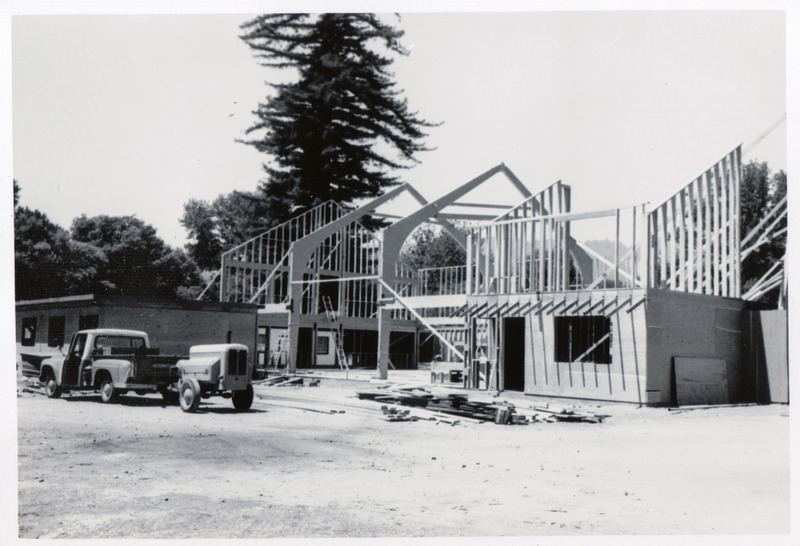 1962 Evangelical Free Church being built where part of Felton Grove Resort, Felton Grove Auto Camp, Captain Ed’s Boyland and the old baseball field used to be. As far back as 1870’s campers came from all over to stay at the “Picnic Grounds” at the 21 acre Felton Grove where the San Lorenzo River and Zayante Creek converge. Courtesy Felton Bible Church. 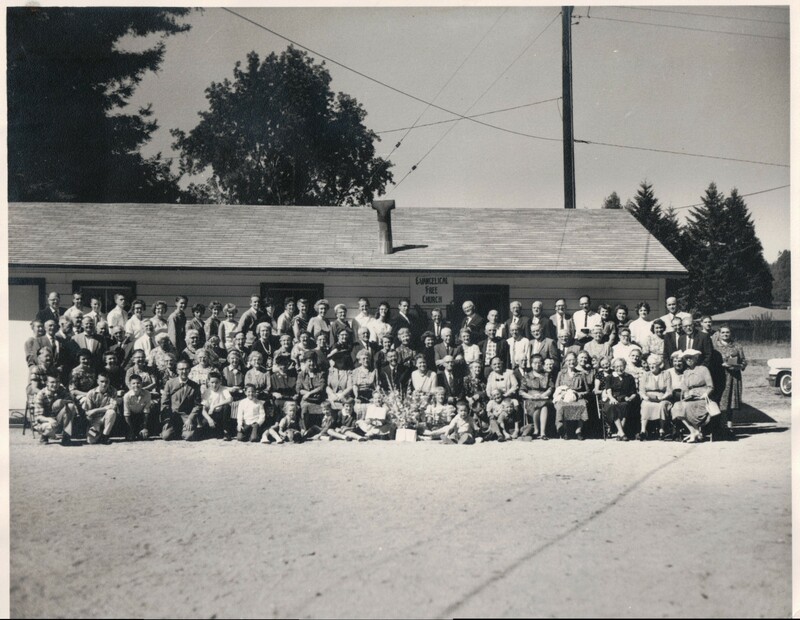 Church members used this small building while their new church was being built in 1962 after the church purchased the approx 5 acres from Captain Ed Dougherty. Captain Ed and his wife “Babe” ran a boys camp from the 1930’s until approx 1956. Courtesy Felton Bible Church. This entry was posted in Capt. Ed's Boyland, Felton Grove History and tagged Church, Felton Grove History. Bookmark the permalink.